The Mouse Pad provides a range of services from essential system support, installations, repairs and upgrades to custom software development and the integration of new technology into existing businesses. We understand how complex IT systems can be so we endeavor to engage our clients fully by ensuring that they fully understand how to use the systems or technology that we provide and maintain. We can take your basic idea and create innovative, high quality software and hardware solutions based on the best technologies. Our record of repeat clients is outstanding because our clients see that we are boosting their competitive advantage, improving revenue, and pushing their service levels through the quality of IT services and solutions we provide. 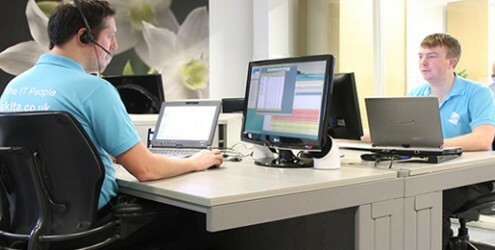 The Mouse Pad is a great IT company, providing reliable service to the businesses in Savannah. When my office had a problem where critical information was lost, they spent time helping us recover files and setting up measures to prevent the issues from happening in the future. Another great feature to their services is that The Mouse Pad is always available to respond to technical issues. The folks at The Mouse Pad are truly “reliably awesome”. They are extremely client-focused and will do whatever is necessary to get the job done. They have come to my business several times to fix a computer or network problem. The Mouse Pad is extremely knowledgeable and will quickly fix whatever problem they are presented with.